Juniper Networks today ended its five-month search for a new chief executive officer by naming someone with deep CIO roots to the position. Shaygan Kheradpir, chief operations and technology officer for British bank Barclays PLC, was tapped by Juniper to replace outgoing CEO Kevin Johnson, who has announced his retirement plans as early as July this year. Kheradpir’s term will begin January next year. Many industry observers had earlier commented that Juniper needs to focus on its service provider routing business in order to reignite growth. Juniper is currently experiencing solid demand for its solid provider edge and core routers but faces stiff competition in both campus and data centre markets. If service provider experience is indeed one of the criteria for the CEO post at Juniper, then Kheradpir fits the bill. Related Link : CIO to CIO – The brainstormers series. Prior to joining Barclays in 2011, he was executive vice president and chief information and technology officer at United States-based wireless carrier, Verizon Communications. 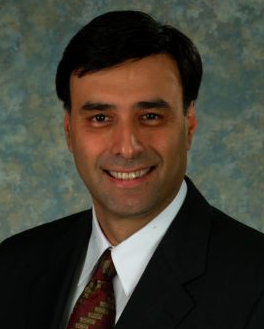 Kheradpir was a member of Verizon’s original management team when it was transitioning from a regional telephone company to a broadband, media and global communications service provider. He also helped create and implement Verizon’s newer generation services such as IP multimedia and FIOS fibre optic broadband and video service. Scott Kriens, Juniper’s chairman, said the company conducted a “comprehensive “ search for a CEO. “Shaygan has a proven track record of successful business operations and technology leadership, with industry knowledge and technical vision from the perspectives of both telecommunications service providers and global enterprise,” he said in a statement.